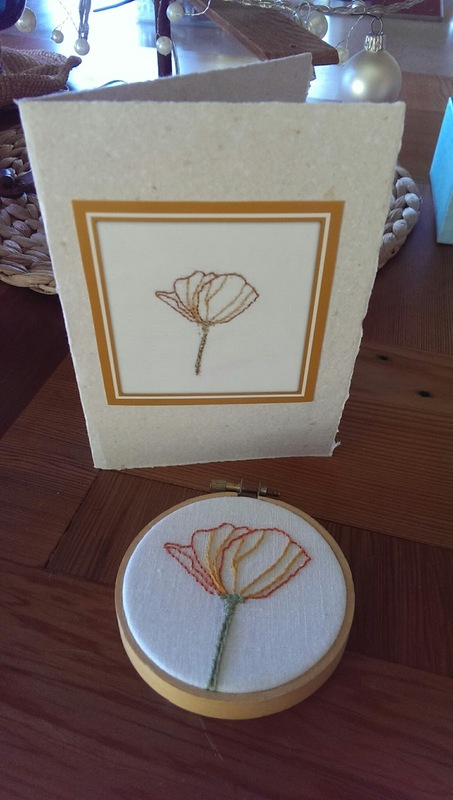 For my mum's birthday I stitched a small embroidery of a Californian poppy. I have been saving seeds from our own flowers, so I included a little bag of seeds too. Those flowers have given us so much happiness and colour over the last few months, I hope they give the same in my parents garden.